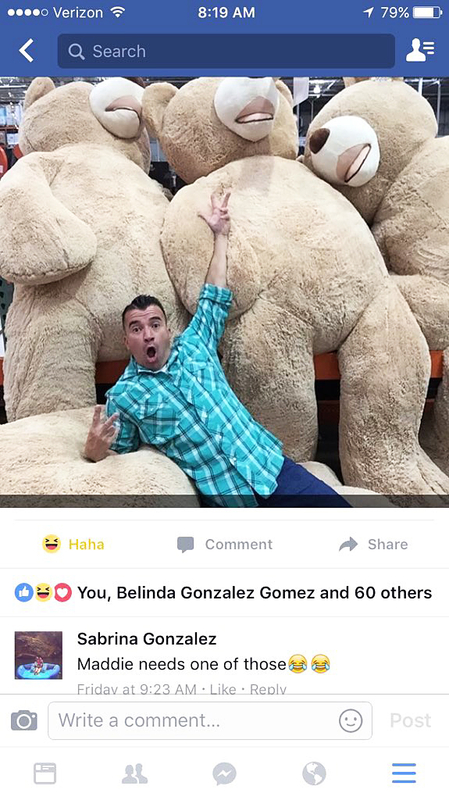 When a new shipment of nearly 8-foot-tall teddy bears arrived at Costco, employee Daniel Gonzalez couldn’t resist snapping a photo and sending it to his family. 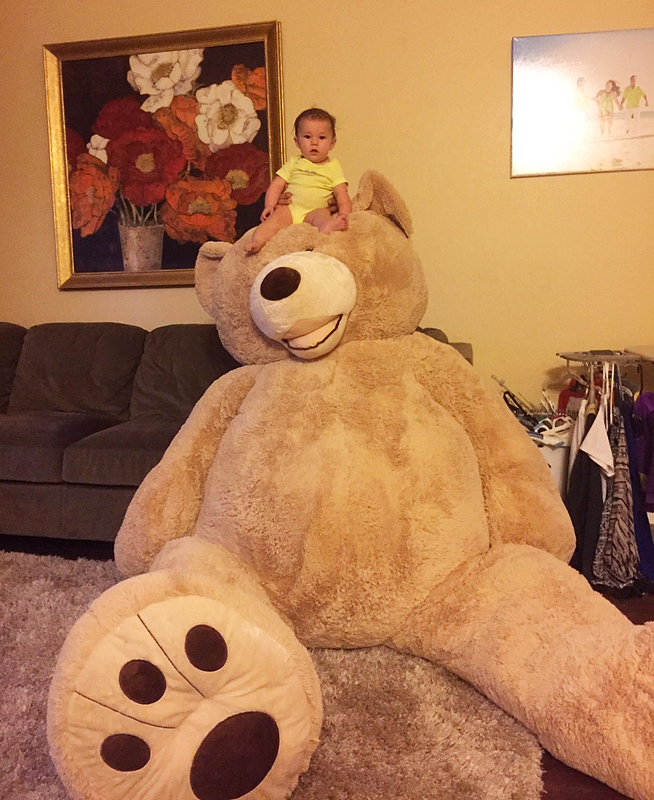 On the text blast: his daughter, Sabrina Gonzalez, who jokingly replied that her 5-month-old baby girl, Madeline, needed one. 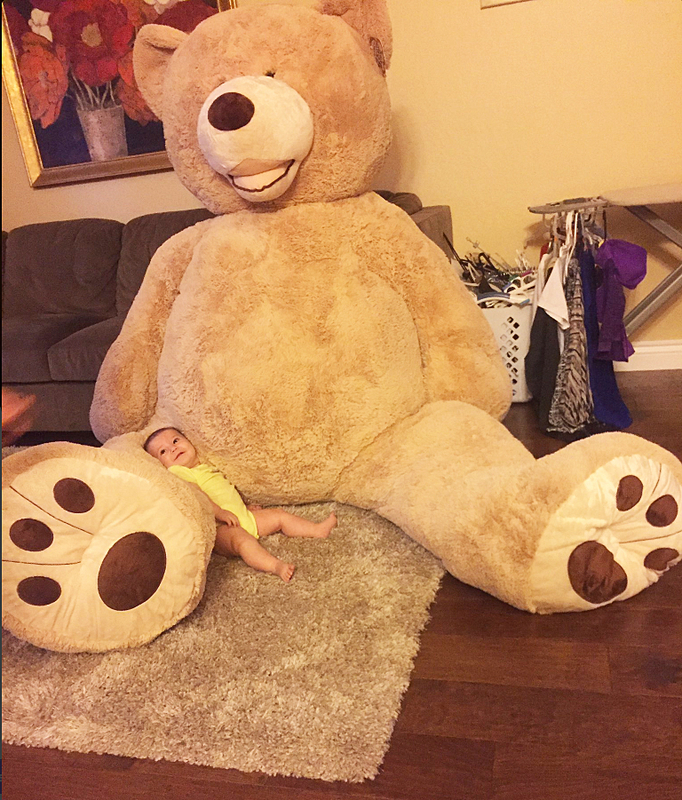 Later that day Sabrina, 22, took to Twitter to share photos of little Maddie hilariously posed next to her 93-inch toy, which according to Buzzfeed is so big that a forklift is needed to move it around Costco. 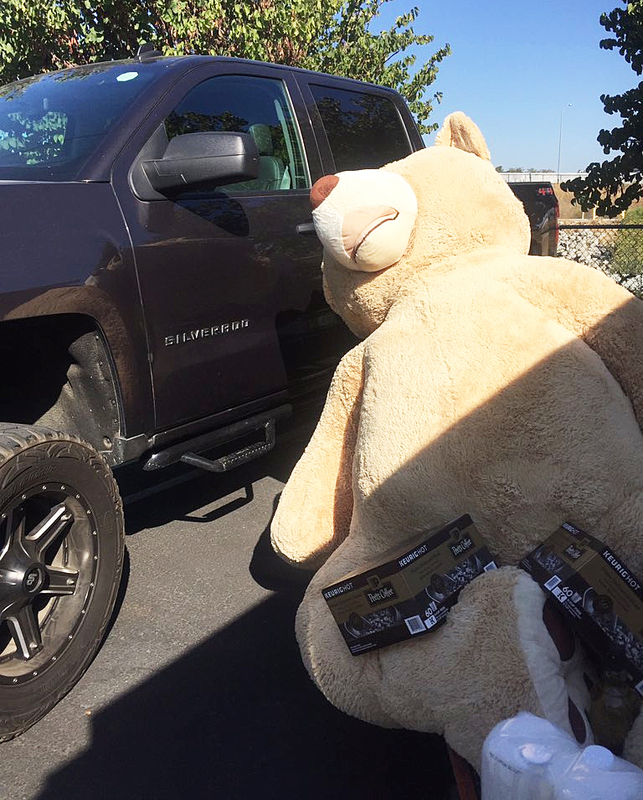 “Grandpa bought her a teddy bear,” the San Jose, California–based mom wrote on September 16. The pictures have since been retweeted nearly 42,000 times and have received 63,000 likes.